I want to focus on counting by 5's this next week. 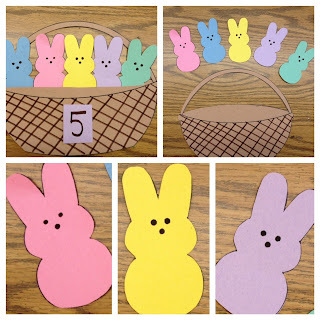 Each student will make a basket of five peeps. We will put them all on the bulletin board, and then we can count each basket by 5's! It will be a peeps math craft! Then cut out 5 pastel peeps. Add brown dots to the peeps for eyes and nose. Put the peeps in the basket! 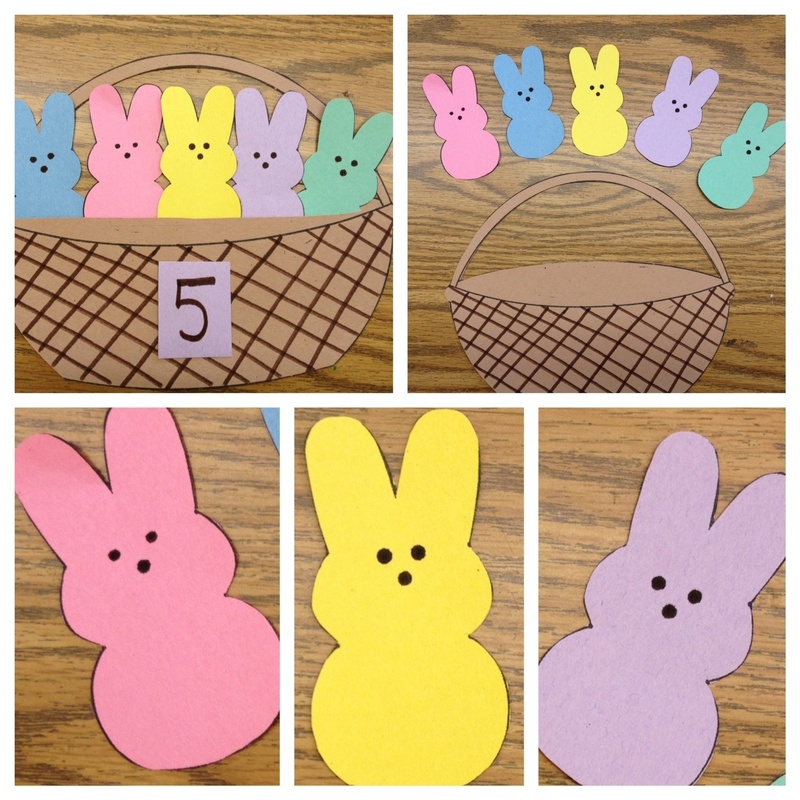 I think this will be a great kindergarten peep craft that also incorporates math! LOVE your little bunnies and blog! Found you over at Pocket Full of Kinders! Stop by and see me some time! I love your peeps activities! LOVE these!! So very cute! Thanks for sharing this fun idea! I was sent over by Pocket of Kinders and now I'm your newest follower! Love this, can't wait for the PDF!! Thanks for sharing! So cute! Love those peeps! Oh I love this! I can't wait for the freebie to come out! I love it...how cute! Would you consider linking this to Hey Mom, Look What I Did on Adventures In Mommy Land (http://adventures-in-mommy-land.blogspot.com/2012/03/hey-mom-look-what-i-did-23.html)? This is so cute! I love it! Thanks for the comment, hope your little chicks turn out with your group. Thanks for the link too! Can't wait for the PDF! Never liked the taste of peeps but they sure are cute! LOVE this idea! Posting to my linking this to my facebook page today! I love this idea and would love to make it with my kinders. I can't wait for you to post the PDF! Great idea! Thanks!